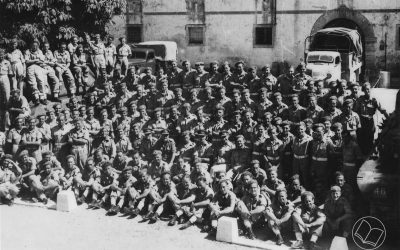 On 8 October 1943, the 57th Regiment, part of the Fifth Army, disembarked at Salerno in Italy. As it moved forward during the following months, the batteries of the Regiment were employed in a variety of tasks, mainly as infantry, but also in the mortar role and on porterage duties. 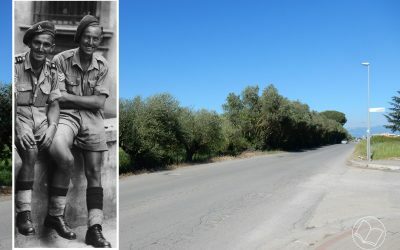 It was while in the latter role on the Garigliano front that 192 Battery, commanded by Major D.H. Chapman, was withdrawn and reformed into an anti-tank battery and sent to the Anzio beachhead as part of the 168 Infantry Brigade Group. 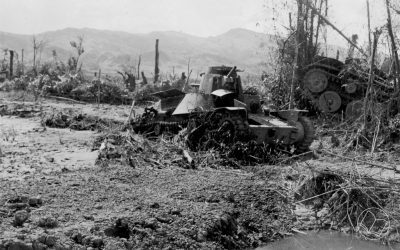 The Battery had on strength eight 6-pounder and four 17-pounder anti-tank guns. 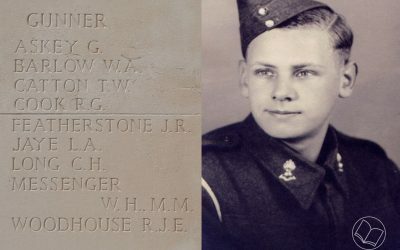 Gunner Walter ‘Sonny’ Messenger was only 21 years of age when he lost his life in the withdrawal of the 57th Regiment to Dunkirk, winning a well merited Military Medal in this action. During the 67th Regiment’s last weeks on the Senio River line in Italy, it welcomed a new Battery – 315 – from the 105th Anti-Tank Regiment, R.A. The Battery’s origins were as part of a medium regiment of artillery formed at Tarporley in Cheshire, which on arrival in Egypt in September 1941 was converted to the anti-tank role. As B Battery of the 73rd (later 95th) Anti-Tank Regiment it fought throughout the desert campaigns. When the 95th was broken up it joined the 105th Anti-Tank Regiment and became known as 315 Battery. The following account of its time with the 67th is taken from a short battery history published in Italy at the end of the war. During the months April to June 1944, the 82nd Light Anti-Aircraft/Anti-Tank Regiment was engaged in the decisive battles of the Imphal Plain, around Bishenpur and the Silchar Track, in North East India. South of Bishenpur, alongside the Tiddim Road, lay the villages of Potsangbam and Ningthoukong which were bitterly contested by the opposing sides. The Japanese had occupied the villages in April and attempts to recapture them had been largely unsuccessful, but by June Potsangbam and North Ningthoukong were in Allied hands when the Japanese renewed their offensive. 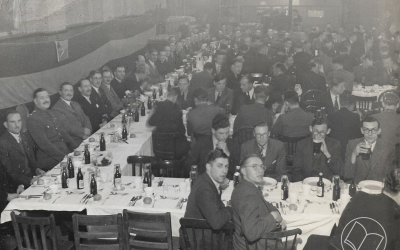 A number of successful reunions of former members of the 57th and 67th Regiments were held post war and in the early 1950s at the drill hall in St George’s Road, Wimbledon. After a break they recommenced in the 1960s at Stonecote Hill, Morden, headquarters of the Surrey Yeomanry, with which the post war successor unit, 381 Light Regiment, R.A. had amalgamated.